From agriculture to fitness to the smart home and much more, the Internet of Things is everywhere. Among tech buzzwords, Internet of Things is currently one of the favorites ( Big Data is up there too). But the Internet of Things or IoT is not really an industry and is more of a theme with IoT companies attacking a wide variety of industry challenges. 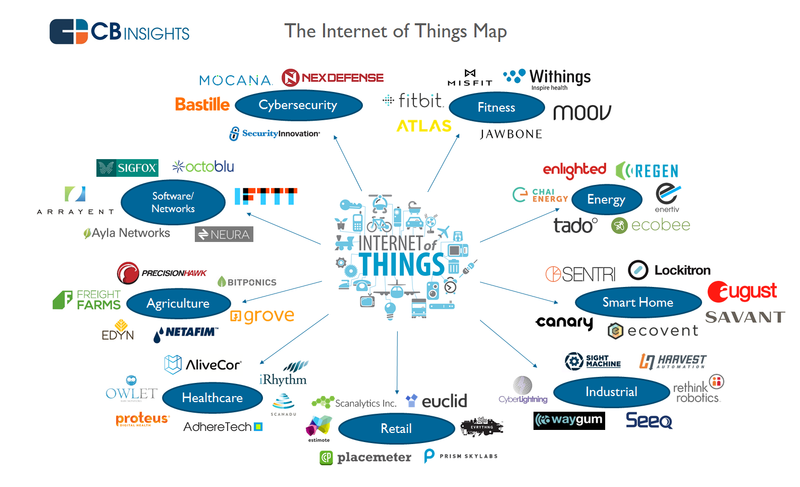 We put together a map of IoT startups that are attacking different industries. While companies like Lockitron andCanary aim to automate your home, Proteus Digital Health and AdhereTech are trying to revolutionize medicine by improving patient monitoring. Below are some of the areas that IoT startups are attacking with a small sampling of companies for each IoT segment.